If you’re going to have a beard that looks attractive, then you are going to have to spend some time on it. These seven tips will help you improve the health and appearance of your beard. Following them closely to get the best results so you will have a beard that people envy. Your shape’s face should help you decide what kind of beard you want to grow. Oval face: you’re lucky. Pretty much anything will work. Follow these basic rules to choose a beard shape that fits your face. 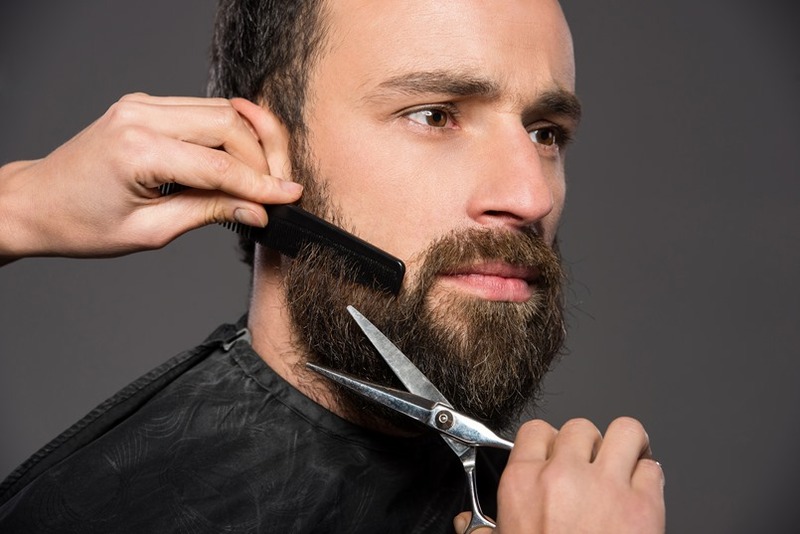 Trimming your beard is essential for removing split and dead ends. Even if you’re trying to grow out your beard, you need to trim it occasionally to improve its health. It might be easier to get yourself one of these beard care kits. Your beard gets pretty dirty during the day. It’s not only assaulted by food and drinks from the top, but dead skin cells and oils from the bottom. If you don’t wash it at least once a day, then it will become pretty unattractive. Perhaps even worse, an unclean beard is often itchy, especially when it’s in its initial stage of growth. You’ll want a beard wash to keep your beard clean. ArtNaturals Beard Wash is a good option that will leave your beard and skin clean. For some reason, a lot of men with beards don’t know how much they can benefit from beard oil. Just a few uses would show them how much a simple oil can rejuvenate a tired beard. Different types of oils offer various benefits. It’s often best to use a blend of oils, like the oil you get from the Honest Amish Classic Beard Oil. Don’t forget that your mustache is an important part of your beard, so you need to take care of it, too. Anything you do to your beard, you should do to your mustache. You may actually need to trim your mustache more often than your beard. It also helps to use wax that mold your mustache into the proper shape. Fisticuffs Mustache Wax is a popular option that will help you keep your mustache under control. Your beard, just like all other parts of your body, need the right nutrition. If you deprive it of the vitamins that it needs, then it will never look its best. In fact, it might become drab and even uncomfortably itchy. Your beard also needs plenty of B vitamins, such as B3, B5, and B9. While these are crucial vitamins for your body, they aren’t always easy to find in your food. You can improve the chances of eating plenty of B vitamins by eating a diverse diet that includes abundant fruit and vegetables. Of course, it’s often difficult to eat good food when you’re ready. Use supplements like Smooth Viking Hear and Beard Growth Support to make sure your beard gets the nutrition it needs. Unless you have spectacular genetics, you will need to train your beard so it looks neat and attractive. Training your beard involves teaching it which way to grow. It’s especially important if you have unruly hair. You’ll need a good brush to train your beard. Smooth Viking is a good option that will help hairs learn how to grow the want you want them to. 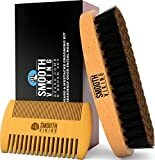 It’s made of board bristles that will also remove dead skin and keep your beard hair’s in top condition. Brush your beard at least once a day so you can train it to lie in a way that complements your face. It will probably take a few weeks for your beard to learn. You should continue brushing it even after it learns how to lay properly. Even if your beard isn’t unruly, brushing is necessary for good hair health. While this might seem like a lot of information, it doesn’t take long to add these steps to your grooming habits. Remember, having a beard is a privilege that comes with some responsibilities.